It’s spring and snowing in Rhode Island as zinesters and readers descend on the historic Providence Public Library for the 2nd annual Rhode Island Independent Publishing Expo. I’m humbled to highlight some stand-out books from the show and grateful to get to know another rad zine library. New York-based cartoonist A. T. Pratt is the author of the mind-blowing Pop Pup Dog Day, a semi-fictional account of a four dogs out on a walk. The jam-packed book vibrates with a lively-line and you have to see it to believe it, with pop-ups and fold-outs on every page. Pratt relies on the interaction between his work and the reader inherent in the comics form and then pushes it to the next level. He battles with his obsessive tendency to fill space versus creating sequential art that tells a story. But it doesn’t really matter because anyway you read it, Pop Pup Dog Day is a visual feast that combines a fun basic narrative with a very innovative format. A must-read. 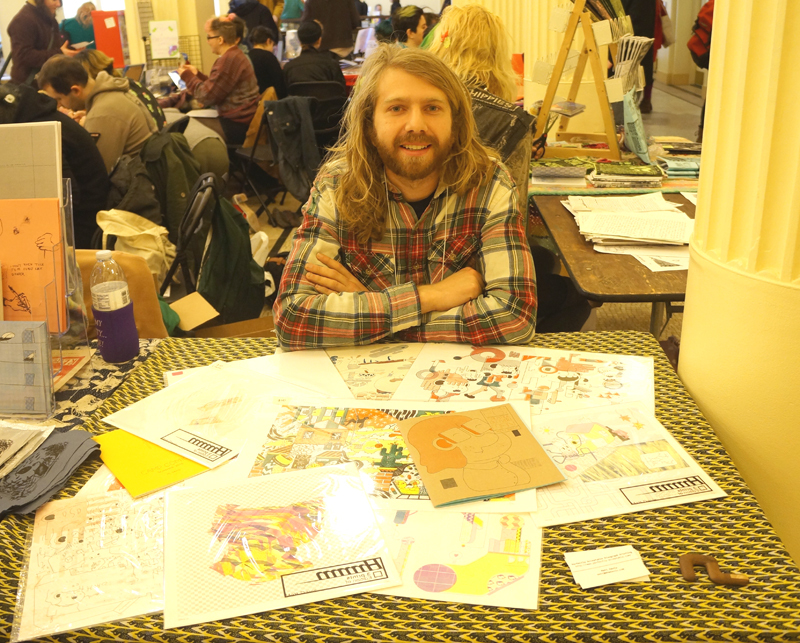 Artist and Providence resident MJ Robinson is a contributor to and assistant editor of the RIPE debut Inaction Comics no: 1 anthology. Edited by Somerville, Massachusetts based Kimball Anderson, the first of this multi-volume series explores the power of nonintervention. MJ celebrates Anderson’s guidance of the collection into a whole that ebbs and flows with a unified feeling, that complicate each work by being presented together. The book is divided into three sections: floating, weighted and balance. MJ’s first Inaction offering, “She Sending Seeds” uses the trope of Spring to create a simple, but more than surface look at happiness. Their second work, “The Hook” is all about the contradiction of how the verb ‘let’ though passive is still a form of action that can allow for violence, inspired by their work as an educator. With cover art and movement separations by RIPE organizer Cathy G. Johnson, Inaction Comics features gorgeous pieces from a variety of cartooning talents. 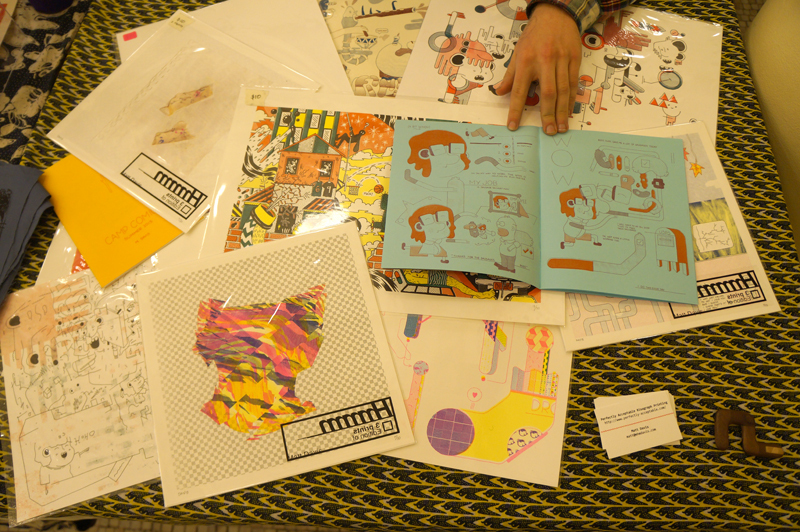 Printmaker and Chicago based exhibitor Matt Davis works with his risograph machine. As a self-described left-brain thinker, Davis likes the constraints of cartooning and especially risograph technology that lets him produce without being too obsessive, as evident in his book EG: Egg Sausage Delivery Man. It tell the story of a delivery man who actually loves his job and contrasts Davis’ own employment experiences that led him to idealize for-profit work. 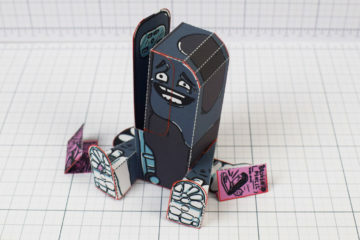 He got into risography as a student of Oberlin College, where along with MJ Robinson and others, they founded the Oberlin Comics Collective and got a machine. Davis draws with the riso in mind and appreciates the printer’s limited colour palette. 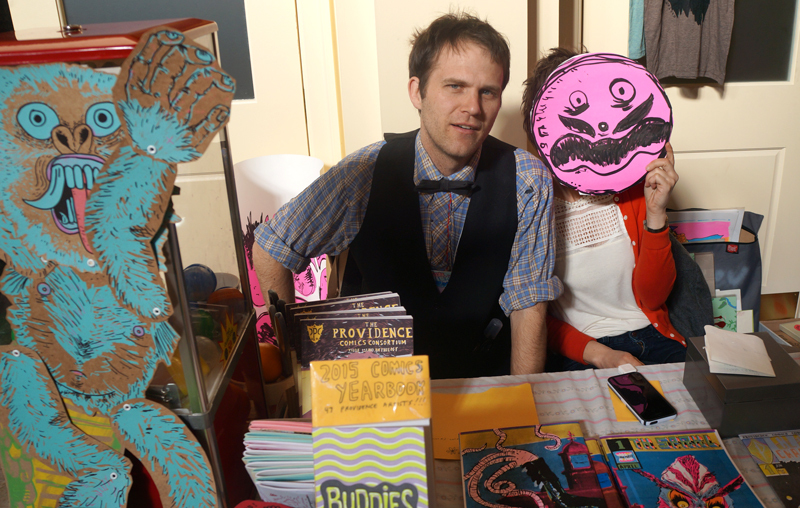 Providence’s Walker Mettling leads the for kids Providence Comics Consortium and its adult equivalent Rad Party. 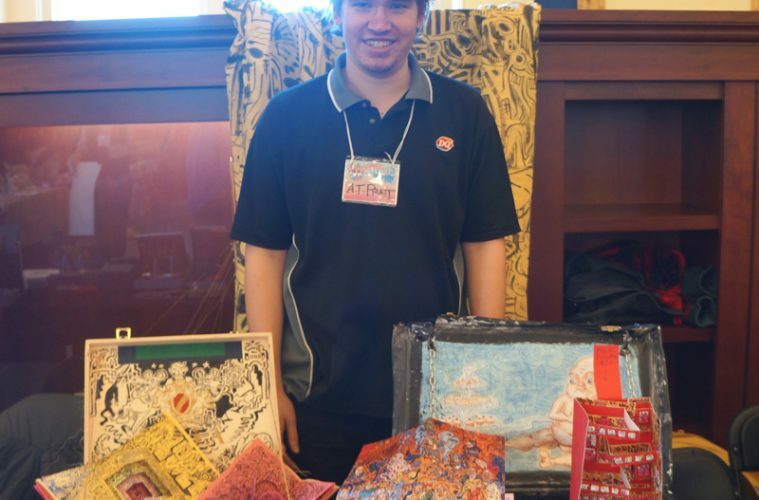 Both initiatives partner with community organizations like libraries and government departments to offer free comics classes that come together into dynamic anthologies, like the kids’ Buddies 2015. Mettling’s own The Sparkle features a bright and spooky screen-printed cover and a series of surreal comics stories. Mettling is seeking submissions for his Dr Entrails advice comic. 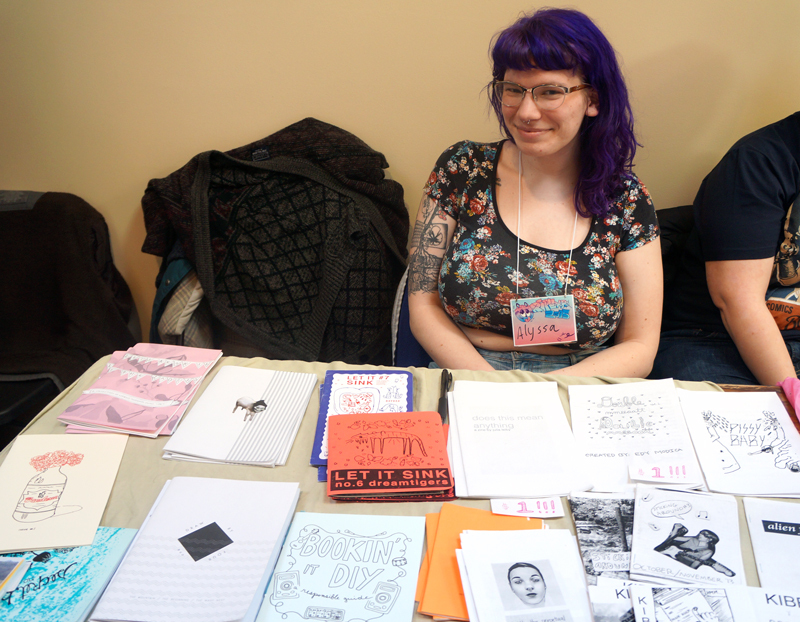 New Brunswick, New Jersey based zinester Alyssa Rorke has been running the distro and anthology Letters From Bummer Camp for the last year. She began by doing readings and publishing her own poetry and expanded to start the distro after being inspired at Atlanta Zine Fest. 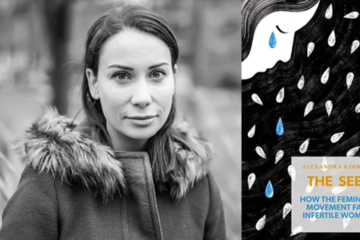 Drawing on her undergrad majors in Media and Gender and Women’s Studies and the New Jersey punk house scene, Rorke is making it happen with Volume 2 of the anthology, which features comics, illustration, poetry and short writing on the theme of storytelling, debuting at RIPE and available online for free. 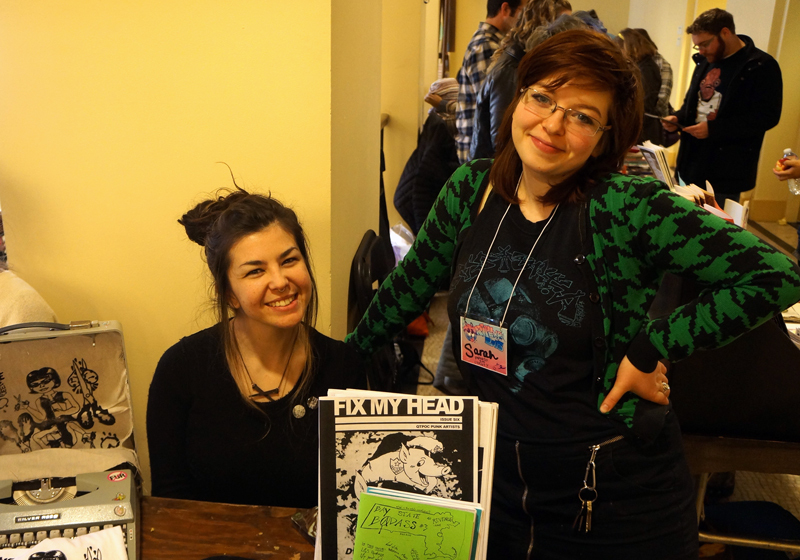 Kimberly, left and Sarah, are at RIPE representing Boston’s Papercut Zine Library. The space is in its fourth location and celebrating its tenth anniversary. Sarah has been a librarian for four years and Kimberly seven. All their titles come by donation and are sorted by category. 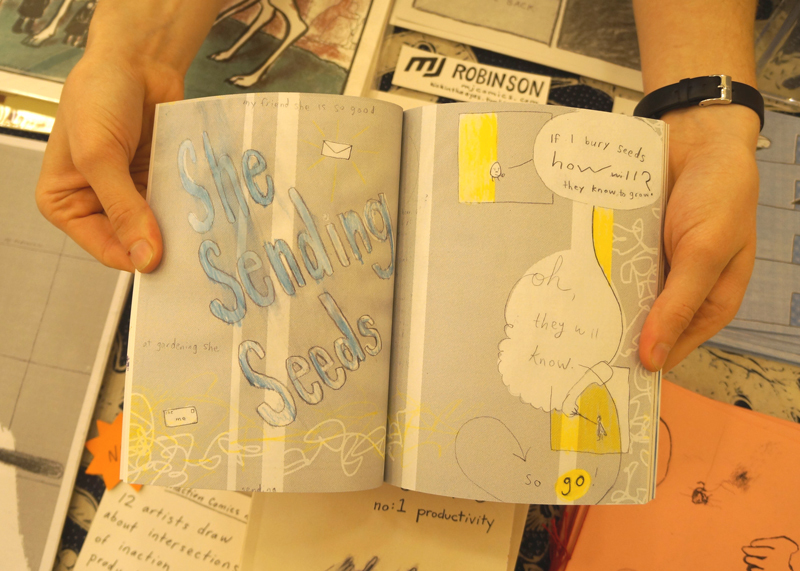 While there’s some internal debate about what exactly constitutes a zine, the librarians have settled upon a zine as being made for love over money. Papercut is fundraising with patches and Sarah’s first screen-printed t-shirt. 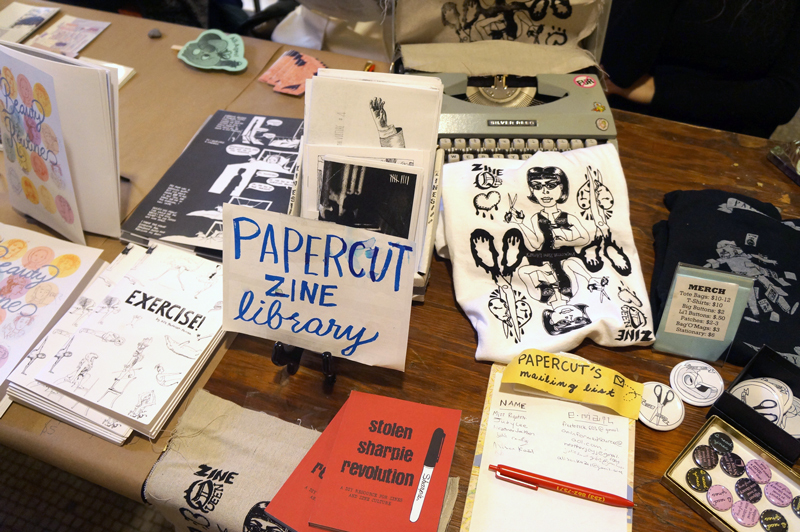 Super cool to get to know such a great DIY-zine resource coming out of New England as the cherry on the cake of a great indie-creator/small-press fair. 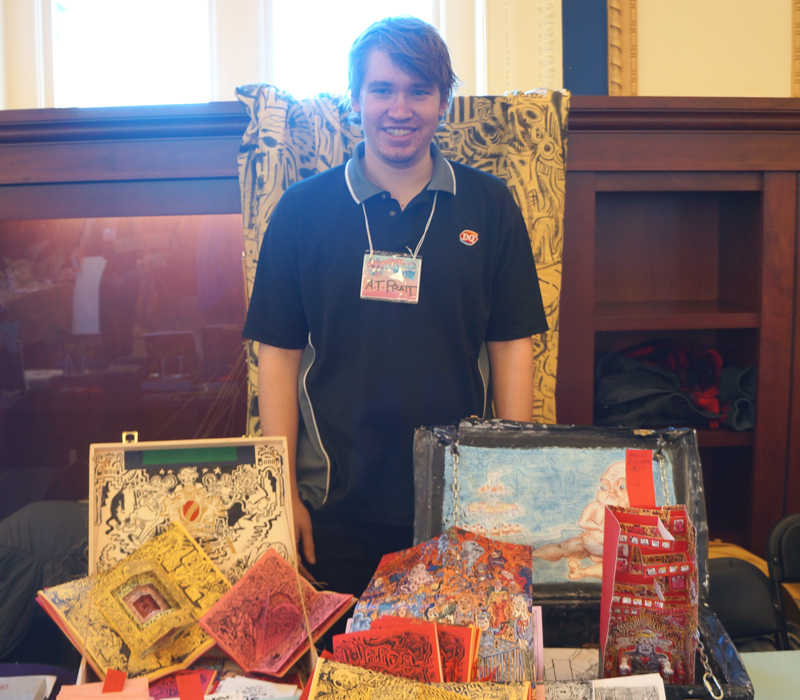 Jonathan Rotsztain makes zines too. Check out his work on his website and blog.